If you are moving your business you can be sure you will need some special crates to move your files, stationery, IT equipment and anything that require to be put into something before it can be moved without a damage. There are many different type of office moving crates. 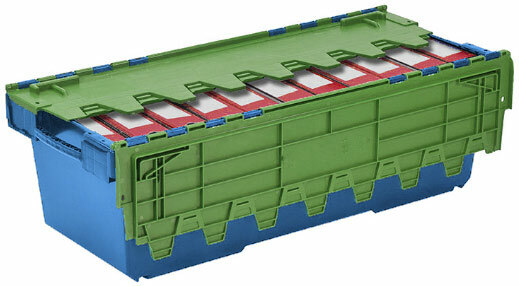 On this site we will give you a background of most common crates used for storing and moving. LC3 crate is the workhorse of office removals. Tough, weatherproof and stackable (we recommend to pile up no more than four high when packed). The integral hinged lid interlocks shut and can be sealed for added security. LC6 or (P6) - is called the library and bulk archives crate. It is 1 metre long and specifically used for moving large quantity of files, archives and paper documents. It is also used during the library relocations to move books. The LC6 office moving crate has been designed for moving books and storing lateral filing systems. It also posses sealable lids to provide higher security. Specially designed for libraries and bulk filing moves. Its metre-long capacity will accommodate an entire library or storage cabinet shelf, simplifying the packing and unpacking process. 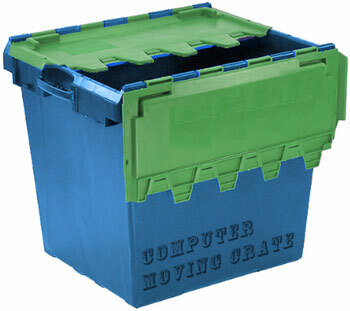 IT computer crate has been specifically designed for a secure transfer of computer equipment. Its larger capacity will hold an entire PC workstation (15-inch monitor, base unit, keyboard, etc.) or take larger items up to and including a 21-inch monitor. 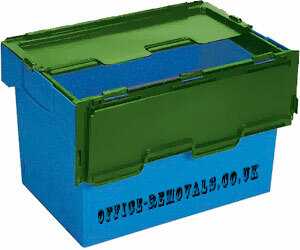 This removal crate can be also used to move telephones, fax machines and small printers. Specially designed computer crates will accept complete workstation including monitor, CPU, keyboard, mouse etc. All electronic and computer equipment should be bubble wrapped before putting in to the computer crate. Computer crates can be sealed to increase the security their content. 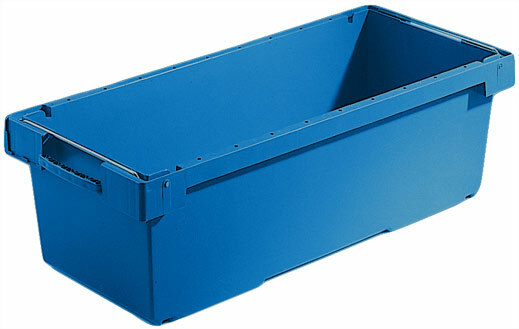 A6 office removal crate has the same dimensions as the LC6 moving crate but the absence of a hinged lid makes this crate particularly suitable for locations with narrow working areas. Fitted with metal stacking bars for ‘open top' loads is an ideal solution for internal relocations. (interior working only). This create should not be stacked up. Idea for internal moves when packing and unpacking of files has to be done on the same day. Can be used as a temporary storage create for anything from stationery to archives and printing paper. The computer is less commonplace today due to the advent of the IT1, but still a very viable solution for moving computers and other technical equipment (often used for moving servers and racked IT). The removable shelves make it ideal for large kit. 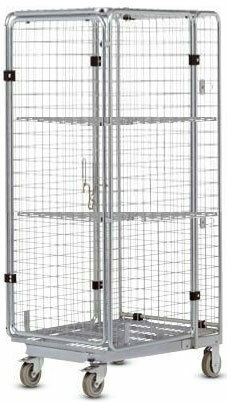 Fully lockable and with excellent visibility of content during the move. It is still irreplaceable when moving larger printers, scanners or multi-purpose office machines. For personal PC's, docking stations, typewriters and other fragile electronic equipment. This roll cage trolley has a fully lockable top, base and sides with two integral folding shelves dividing the cage area in three loading levels if necessary. How to pack for moving?